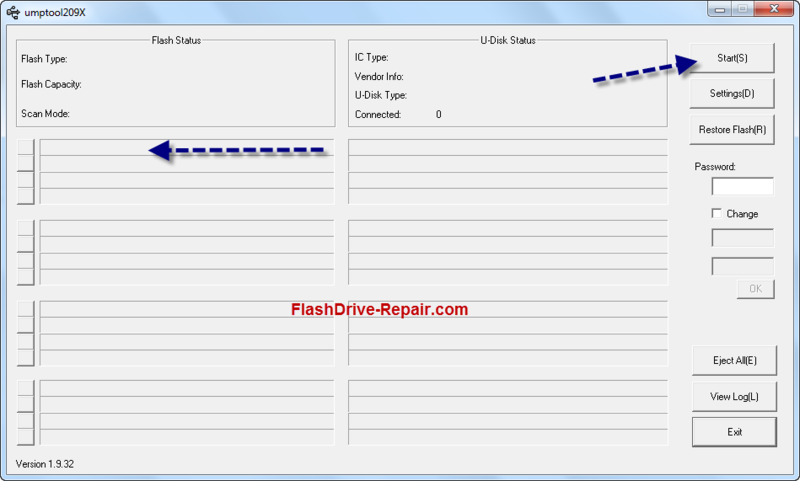 Fix Chips Bank CBM2091 pen drive .If you have chips bank flash drive and have formatting problems or write protected problem .Download Chips Bank repair tool . Download CBM209X Umptool V1.9.32 1105 from the link in the bottom of this article . Plug in your Chips Bank USB stick to your computer . Open this File umptool2090.Exe , If your flash is supported by this software ,You will see the flash recognized in the program . Click on your Chips Bank Flash then click Start to begin updating your flash firmware . Wait until finish updating your flash firmware. This software support CBM2091 and CBM 2092 for Chips Bank chip vendor. Hi there, will this software work to erase partitions that have been locked & with preloaded files?